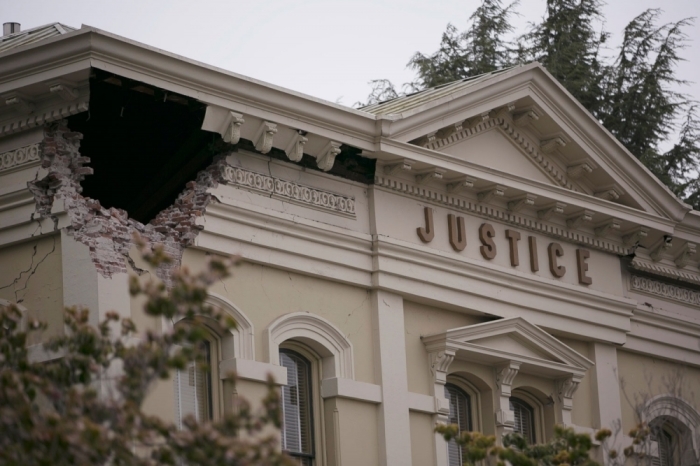 At least 160 people were injured and several homes and historic buildings were damaged Sunday morning when a 6.1 magnitude earthquake hit northern California with downtown Napa bearing the brunt. The Christian group Salvation Army is providing aid to victims. 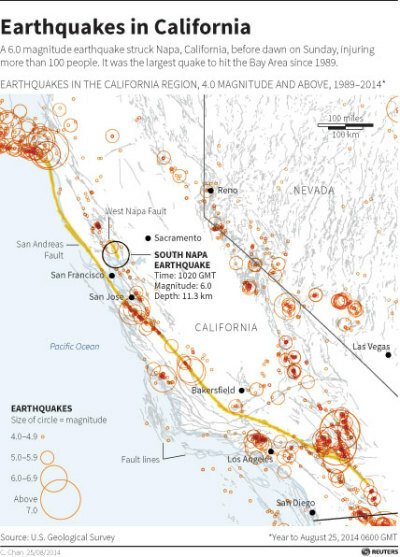 The earthquake, which was felt over a large portion of northern California, including San Francisco, struck 4 miles northwest of American Canyon in Napa County at around 3:20 a.m. local time, the U.S. Geological Survey said. 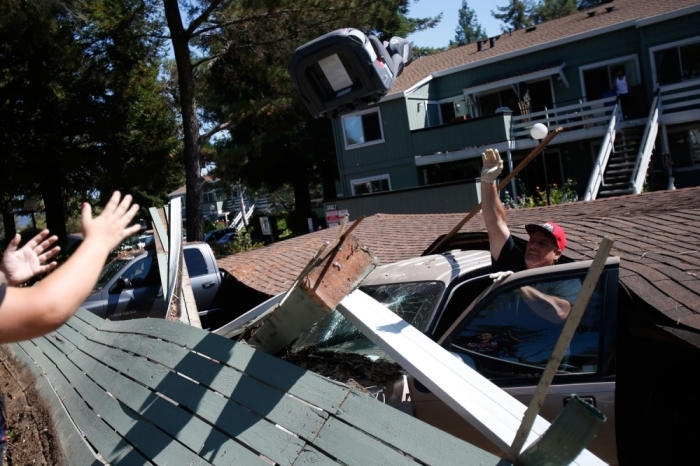 The strongest shaking was experienced in Napa, Solano and Sonoma Counties, and over 100 aftershocks were reported after the earthquake, the largest to hit the Napa Valley area since the Loma Prieta earthquake about 25 years ago, the USGS added. The entire upper northeast of the corner of the 19th century county courthouse building in the Napa downtown area fell off into a heap of bricks on the sidewalk below, and many other buildings suffered similar fates, NPR quoted Craig Miller of KQED as describing the situation. 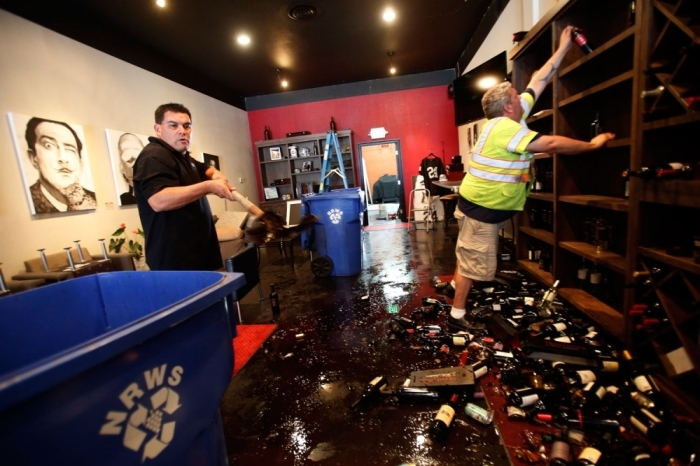 "Everything and everyone in Napa was affected by the quake. My house, along with everybody else's, is a disaster. It looks like somebody broke in and ravaged the place, room by room," CNN quoted its iReporter Malissa Koven as saying. "Anything and everything that could fall, did." More than 160 people received minor injuries in the earthquake, according to Walt Mickens, CEO of Queen of the Valley Hospital. At least 13 patients were admitted to hospital with broken bones and respiratory or cardiac issues, NBC Bay Area reported. Two patients, including a 13-year-old boy, were reported to be in critical condition, according to CBS San Francisco. Nearly 100 homes have been red-tagged, or labeled unfit to enter, and six mobile homes at Napa Valley Mobile Home Park burned to the ground, according to Los Angeles Times. More than 15,000 customers in and around Sonoma, Napa and Santa Rosa lost power, of which about 7,300 were still without electricity Sunday evening, according to Pacific Gas and Electric Company. At least 500,000 people were reported to be without water. Officials received about 100 calls about potential gas leaks, and decided to open two evacuation centers at Napa High School and Grace Church of Napa Valley. Yet the damage "is not as bad as it could have been," Mark Ghilarducci, the director of the California Office of Emergency Services, told reporters. The Salvation Army has deployed multiple canteens (mobile feeding units) to the Napa and Vallejo areas, according to Times-Herald. A Salvation Army Emergency Disaster Services team has been sent to the evacuation center in Napa at Crosswalk Community Church, and has prepared to serve more than 100 dinner meals to displaced residents and first responders. Gov. Jerry Brown declared a state of emergency for southern Napa, allowing state resources to be directed toward earthquake response efforts. "My Office of Emergency Services has been on full activation since early this morning and is working closely with state and local emergency managers, first responders and transportation officials to respond to impacts to residents and critical infrastructure," Brown said in a statement. "These public safety officials are doing all they can to help residents and those living in affected areas should follow their guidance and instruction." A study, led by geologist Colin Amos from Western Washington University and published earlier this year in a journal, Nature, showed a possible link between earthquakes and the drought in the state, and found that a lack of water in the San Joaquin Valley is decreasing the weight on the San Andreas Fault, which could lead to more earthquakes.